Location. 40° 10.612′ N, 75° 2.997′ W. Marker is in Southampton, Pennsylvania, in Bucks County. Marker is on Street Road (Pennsylvania Route 132) 0.3 miles from 2nd Street Pike (Pennsylvania Route 232), on the left when traveling west. Touch for map. 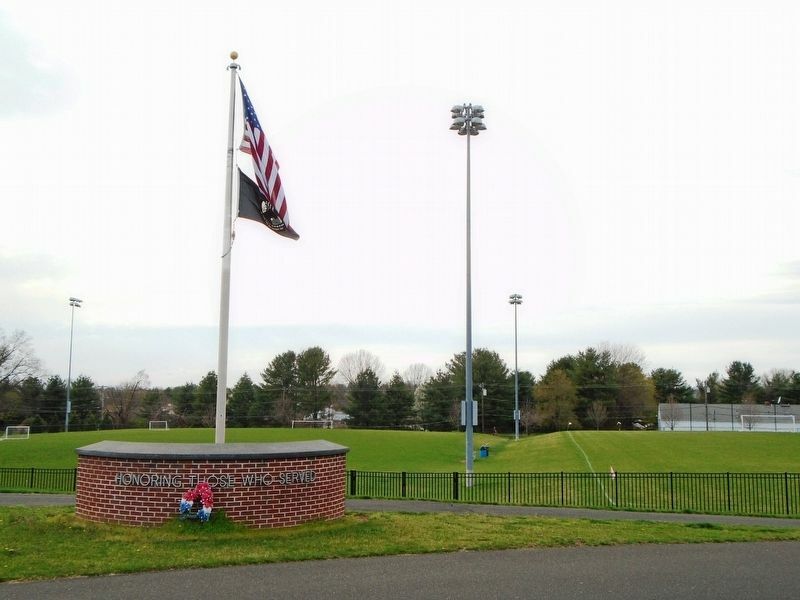 Memorial is at Veterans Field. Marker is at or near this postal address: 400 Street Road, Southampton PA 18966, United States of America. Touch for directions. Other nearby markers. At least 8 other markers are within 3 miles of this marker, measured as the crow flies. Rev. Alfred Earle (about 700 feet away, measured in a direct line); War Memorial (approx. 0.4 miles away); John Fitch's Steamboat (approx. 1.6 miles away); Johnsville Naval Air Development Center (approx. 1.7 miles away); Warminster Community Park-Sandpiper (approx. 1.8 miles away); The Battle of the Crooked Billet (approx. 2.3 miles away); Crooked Billet (approx. 2.7 miles away); a different marker also named Crooked Billet (approx. 2.7 miles away). Credits. This page was last revised on April 13, 2019. This page originally submitted on April 13, 2019, by William Fischer, Jr. of Scranton, Pennsylvania. This page has been viewed 58 times since then. Photos: 1, 2. submitted on April 13, 2019, by William Fischer, Jr. of Scranton, Pennsylvania.